STV has confirmed that its HD service will officially launch on digital satellite in April 2014. The Scottish Channel 3 broadcaster confirmed the news on its Twitter account. The news follows confirmation last week from Northern Irish counterpart UTV that its HD service will launch this November. The launch will allow satellite viewers in Central and Northern Scotland to watch shows including Coronation Street and X Factor in HD direct from the Sky or Freesat Electronic Programme Guide. However, the April 2014 launch leaves STV viewers as the last in the UK to get an HD version of their Channel 3 service provider via Sky and Freesat. Viewers in the south of Scotland who fall within itv's Border TV region are currently already able to watch Channel 3 programmes in HD via itv HD Granada on satellite. STV HD previously broadcast free-to-air on digital satellite, but did not appear on either Sky or Freesat channel guides, and had to be manually tuned in. No official reason has been provided as to why the service will not officially appear on Sky and Freesat for another seven months, but earlier this year STV pointed out that it had been "working with itv" to get their HD service officially launched on satellite. 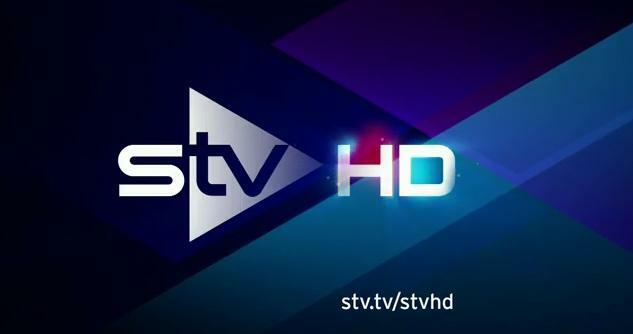 STV HD is already available on Freeview HD and Virgin Media in Scotland. Meanwhile, itv Border has commenced running extended Lookaround bulletins for the Border region. Ofcom recently decreed that itv would have to increase programmes for the Border region, ending the previous arrangement, which saw Border and Tyne Tees viewers share part of their regional news programmes. itv Border will soon commence separate programming for the Border Scotland region, giving viewers in the Scottish part of the Border region further coverage of Scottish issues, including the forthcoming referendum. updated 19/02/2014: STV HD's test service on satellite has closed ahead of the official launch in April. "However, the April 2014 launch leaves STV viewers as the last in the UK to get the HD version of their Channel 3 service provider via Sky and Freesat." Not quite the last viewers in the UK to get there channel 3 licence in HD (yes - national services). It should be reminded many English regions do not get that region in HD often end up substituted with ITV Central or London who ultimately are HD to a larger audience. Currently its worse with BBC1 England but the BBC do hope to change that with proposals for BBC1 English regions and a few BBC2 National feeds in HD. This mean they need more satellite capacity. Currently BBC1 HD English viewers get an "Watch SD version on 1/101" message! Hence the reference to a version of their Channel 3 "service provider" (correct) instead of something like "the HD version of their service on Channel 3" (incorrect). ITV Wales seems to not be an HD service either which has to be a insult nor either the South West (West-South West) regions. ITV have looked out for London, the North West, West Mids and South East! For +1, HD and inevitable +1 HDs (thank Channel 4+1 HD but expect ITV and Channel 5 would copycat (see 5later) for ITV they have to Mega Region due to the costs and the best way I expect would "ITV South West" like zoning before ITV relented. Confirmed on 26/03/2014 by STV - STV HD's launch is on 28th April on Sky and Freesat.